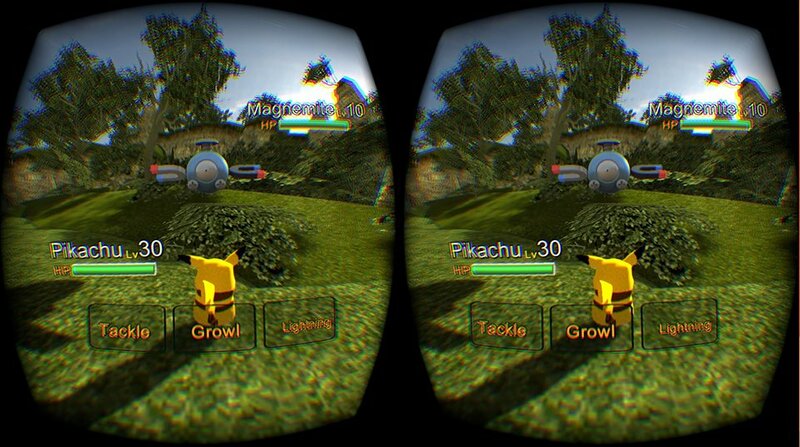 Step into the surprisingly floppy robotic body of a Pokémon trainer with Pokémon VR. YouTuber misterbunbun – there’s a 90% chance he’s a 4-year old’s pet rabbit – made the short virtual reality game for the Leap Motion 3D Jam. The game puts you in control of Pikachu as you take on a wild Magnemite. If played with the Leap Motion, you can pick up and throw Pikachu’s Pokéball, press onsceen buttons and overall control the game with your hands. Otherwise you can use a keyboard or voice commands (via a program called VoiceAttack) to play the game. What will your starting link be? Choose this one to download Pokémon VR or this one check out the other Leap Motion 3D Jam games.